Since Black Friday I played a decent amount of poker at Aria in the mixed games, and of course, played a full schedule at a disappointing WSOP for me, but I can't help but admit that I genuinely missed playing online poker, as it had become a passion for me prior to Black Friday. I love the convenience of it, the stats, the number crunching, just the fact that I was learning something new and improving rapidly. So, in August I went to Toronto, my hometown and took all the necessary steps to relocate so that I could be prepared for the WCOOP series. For any of you who don't already know, WCOOP stands for World Championship of Online Poker, and it truly is. I ended up playing WCOOPs in four different countries in just a three week span. I started my WCOOP in Barcelona, then off to Montenegro, Budapest, and finally, locked myself up in a hotel room in London for the stretch run. Omaha 8 or better: I raised in first position with AKQ6 he called, as did the small blind. The flop came J-T-4 with two hearts, I bet, and the Russian raised me with A237, no front door or backdoor flush draw. That's just not a very good play. The turn was a 7 and he bet, the river came a 5 so I made a backdoor low and paid him off. I bet, and he raised me again. He ended up catching an Ace on the river and making a wheel. That was a crushing blow to my stack at that stage. I ended up going broke in the PLO round, something I was really trying to avoid since my edge in the limit games was far bigger, but short stacked, I felt like I didn't have much of a choice. Flop was: T52cc and I shipped less then a pot sized bet and he called. It was a coin flip, but I couldn't catch and suddenly my WCOOP was over and I was left with a pit in my stomach. I really wanted to win that event. So the next day I woke up feeling a bit lost. Similar to the WSOP hangover, I was at a loss for what to do, since my daily routine was altered and all I had was time. I vegged most of the day, and today I'm writing this blog here in London. I'm staying, since the EPT London is just days away and I can't wait to play, especially since I've been carving through 2000+ player no limit hold'em fields regularly in WCOOPs. I've always been a streaky player, and I always seem to heat up the last few months of the year, from September through December. The WSOPE is next up after EPT London, and I expect to once again play a full series there and fly home with a bracelet...or two. In preparation for this years WCOOP, I did a bit more homework than normal and really planned on taking the events seriously, regardless of the prize pool. I just wanted to win. If I'm being completely honest, my online tournament results have never been very good, and the main reason for that is that I just never really cared too much, but since the WCOOP has become such a prestigious event, I wanted to do the best that I could, which meant preparation. 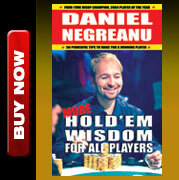 1.Stats I've always been a numbers/stats geek as a child, but applying that to online poker isn't something I'd done until recently, but I found it really helpful in reading opponents. In the past, I just played pretty ABC and didn't differentiate between my opponents at all, since I always found it hard to maintain focus while playing online. Accumulating stats on my opponents, helped immensely. 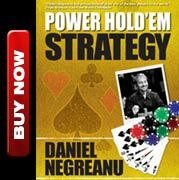 "UTG R 2 C I 3B B SB 4B all F I jam he folds"
In English, "The under the gun player raises, two people call, I three bet from the button, the small blind four bets, everyone else folds, I go all in, and the small blind folds." Hey, it makes sense to me, and frankly, that's all that matters in the end. Player Research Not until the last few days of WCOOP did I realize that there was plenty of information online that you could find about your opponents. For example, what they've won, what tournaments they normally play and how they do overall. I'd type in their online results under the notes tab, then also color code the notes with either "Winning Tourney Player" or "Losing Tourney Player." All these tools helped me make better reads in marginal situations. For example, lets say I raised with AJ near the money bubble and a player went all in on me. First I look at his stats and see that he's played pretty tight throughout. Then I look at a note that says something like "Checked back QQ 9642 then checked K river" which lets me know he plays a bit on the scared side. Finally, I look at his online results and notice that he normally plays $8 events and is in the $215 WCOOP, which means that he's likely to care about cashing as it's a big buy in for him. What does that all equal up to? An easy fold. Sleep throughout the events was a concern, since I was in Europe which meant that on some nights I'd be playing until 7am. My original plan was to grind in Toronto, but that changed at some point. Next year, I plan on grinding from Toronto since schedule wise that will allow for the most healthy lifestyle with me not sleeping days and playing nights. Short trip to Las Vegas in early November, then likely going to be at the Air Canada Center in Toronto for a Leaf game on November 5th. After that, I have a few options that I haven't figured out yet, but when I do, I'll let y'all know.